We are loving SPACE magazine this week. 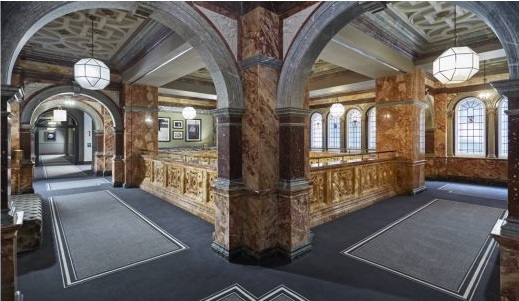 “Brintons supplied carpets for key public areas within the five-star hotel Kimpton Fitzroy London, a Grade II listed landmark building, which dominates the eastern flank of Russell Square in Bloomsbury. The Kimpton Fitzroy re-opened in April 2018 after undergoing a multi-million pound renovation. Brintons worked on this project alongside interior design practices Tara Bernerd & Partners and Russell Sage studio. Innovation and technology... increasing in popularity StoneLoc is making it mark. Many happy clients are now sprouting the benefits of this unique floor. One such client has pulled up exisitng tiles to install our StoneLoc floor and they are extremely happy with the result. Working closely with our Premium partner Brintons Carpets, who have just completed the refurbishment of their new Sydney office located in Crows Nest allows us the opportunity of working closely with clients and designers. Whether you are looking for a particular colour, design or texture we are able to provide you with that special look. Our rugs are produce in conjunction with the "GoodWeave" certification programme, the leading authority on ending child labour in the production of handwoven rugs. Brintons have released their new "Antipodes" Range of commercial carpet. These bold design and colours are sure to make an impact in any new project stand out. "Antipodes is based on contrasting elements; rigid and structured geometric patterns, contrasted with delicate free-flowing florals. Soft colour palettes balance hard angles. Taking cues from nature and architecture, these designs strike a harmonious balance between colour, texture and functionality. Come with us as we embark on a trip around the globe." "Keeping with Virginia's established style, Santhiya offers a range of handcrafted designs derived from the wonders of nature; where sand, sea, and natural elements inspire the senses." Santhiya meaning - "natural beauty"in Thai. Tell us what inspired you to become a leading textile designer. "I have always had a deep love of nature. It's always been my inspiration in art & design. What I love about design is the fun & challenge to interpret into pattern what you see & feel inspired about. It can be stylized, abstract or textural. Designing is constant learning & growing; there is never a dull moment! Virginia's new collection is a combination of various brush & painting techniques. She has created a modern style by combining a modern interior trend with a twist of elemental glamour to form a sophisticated look, allowing these designs to work in a chic city hotel or island resort. "Sydney property developer Ralan's has sold almost all apartments in Ruby - Stage 1 on the Gold Coast. Ruby will end up having 1600 apartments and 7000 square metres of retail and commercial space." StoneLoc was selected for this unique development because its features and benefits met all of the developer's criteria. 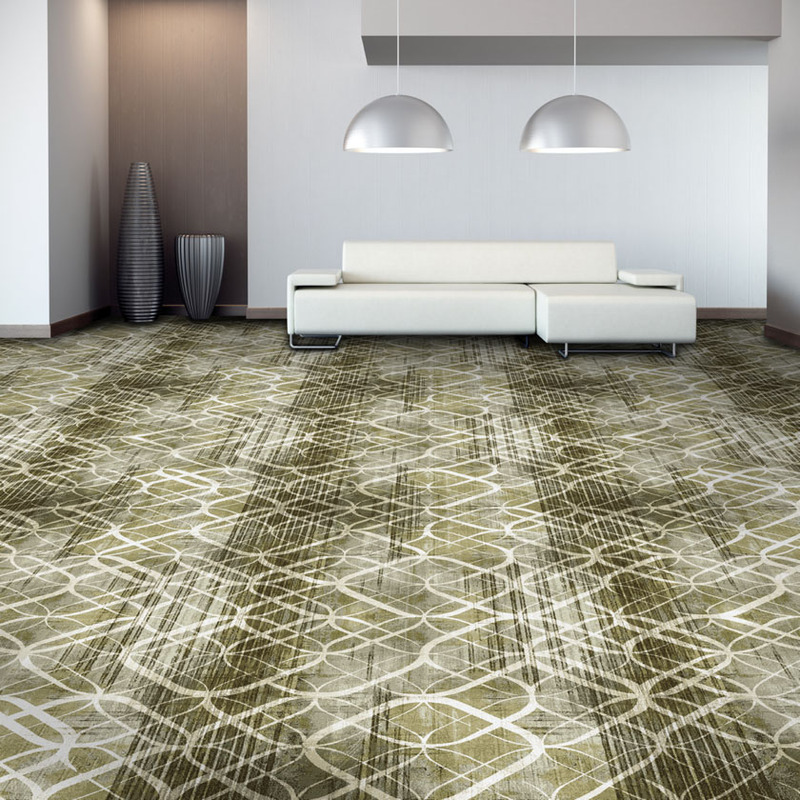 Unlike traditional unit developments that have multiple flooring finishes (tiles, timber, carpet etc), these floors will seamlessly transition from room to room with KSP StoneLoc. The boards themselves are waterproof (and hence washable), quiet and scratch resistant - making them the stand-out choice for this project. Approximately 60,000m2 of KSP StoneLoc (the world's first stone engineered floating floor) in a Custom Timber finish (akin to the Spotted Gum option) will be installed, providing the developer a chance to make his mark on this iconic building.